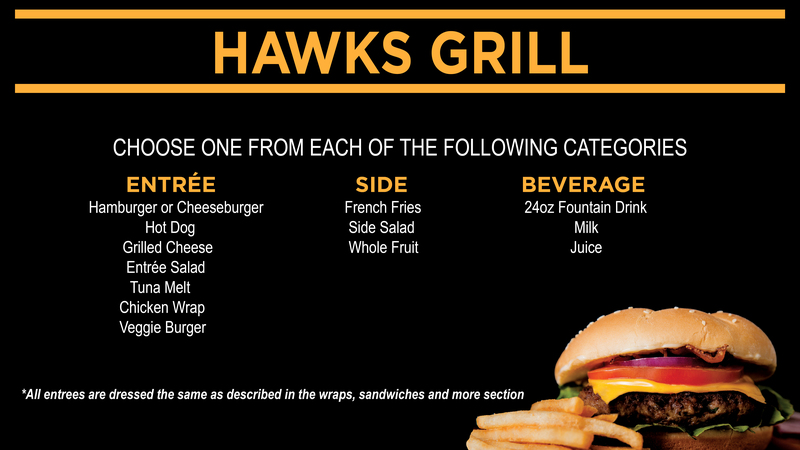 The Hawk's Grill at Garlock features breakfast sandwiches, a wide range of flavorful and creative burgers and other student favorites like chicken tenders, mozzarella sticks and fries! We accept flex dollars, cash, and credit cards. Monday - Sunday | 7:30 - 11 p.m.